What do you do when the weather gets too warm for a bonfire? 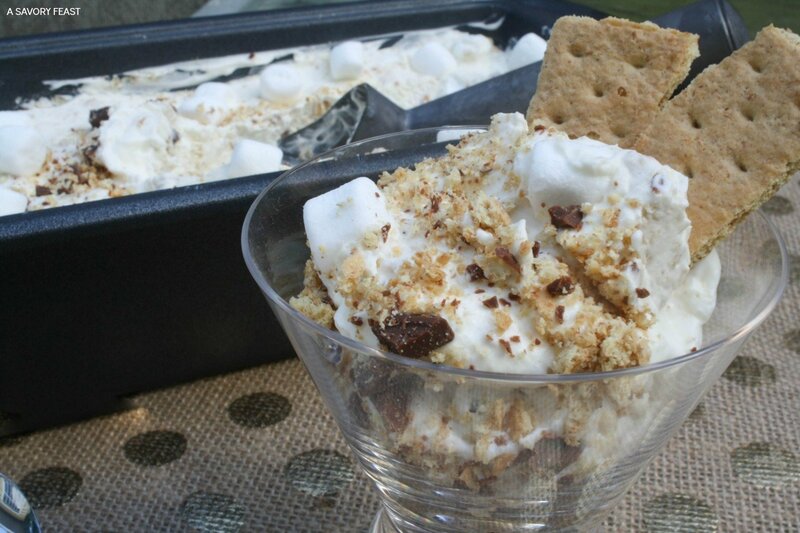 Make S’mores Ice Cream of course! This no churn recipe makes it easy to make ice cream at home without a machine. I’ve been wanting to try making no churn ice cream for awhile now. It seemed so easy, and there are so many ways you can customize it! If you think you need a fancy machine or a lot of time to make homemade ice cream, think again! This method is super simple. Just mix a few ingredients together, put everything into a pan and freeze. It’s that easy! 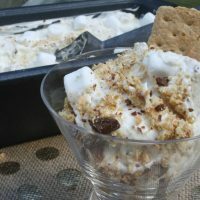 For my first attempt at making no churn ice cream, I went with a basic vanilla ice cream base and added some delicious s’mores ingredients: graham cracker crumbs, Hershey’s milk chocolate and marshmallows. I used my (affiliate link) KitchenAid Stand Mixer with the 6-wire whip attachment to whip the heavy cream for step two. It made it so much easier! If I had to pick my favorite kitchen gadget, it would be my KitchenAid for sure. I seriously use it almost every day! It takes just a few minutes to mix everything together and put it in the pan. Now comes the hard part… waiting for your ice cream to freeze! 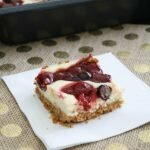 Keep in mind when you are making this recipe that you will need to freeze it for at least 6 hours. So plan ahead! This ice cream has the perfect consistency! It’s soft and easy to scoop straight out of the freezer. I was worried that the graham cracker crumbs might get soggy or that the marshmallows would be frozen solid, but they were both perfect! Now that I know how easy it is to make no churn ice cream at home, I’m excited to make it more often! This could get dangerous… There are just so many flavors and ways I could make it! What do you do when the weather gets too warm for a bonfire? 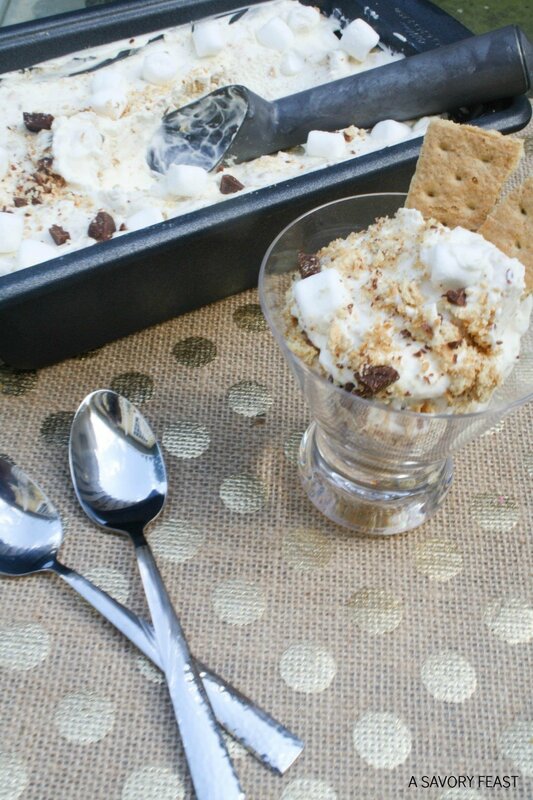 Make S'mores Ice Cream of course! This no churn recipe makes it easy to make ice cream at home without a machine. Chop the Hershey's bar into small chunks and crush the graham crackers. You can leave some bigger pieces of graham crackers, but don't make them too big or they might get soggy. 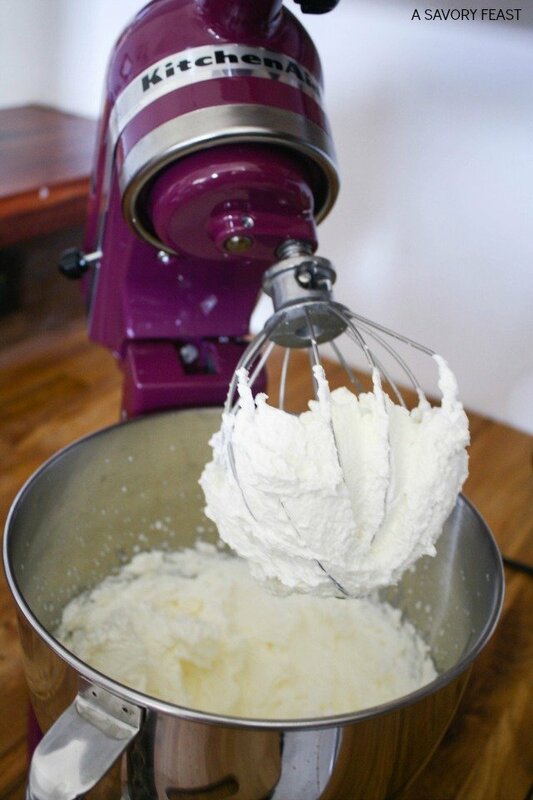 Pour the heavy whipping cream into a large bowl for your stand mixer and whip for about 5 minutes or until soft peaks form. In another large bowl mix together the sweetened condensed milk and vanilla. Fold the heavy whipping cream into the condensed milk mixture. 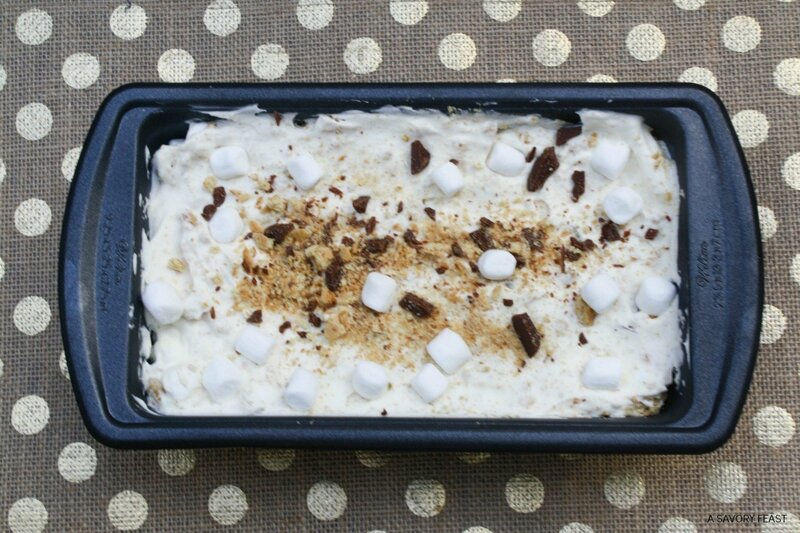 Pour about half of your ice cream mixture into a 9x5 pan. 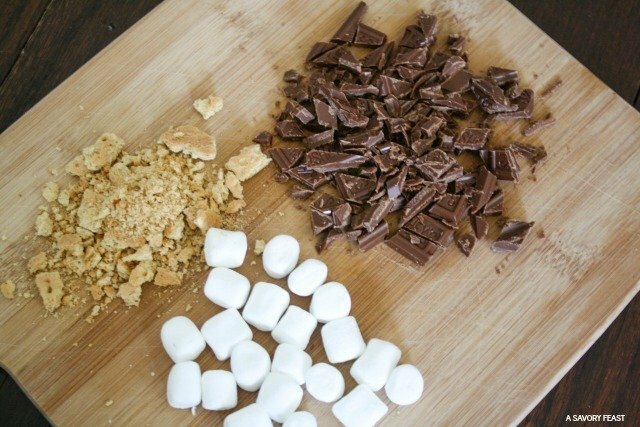 Mix in about half of the Hershey's chunks, graham cracker crumbs and mini marshmallows. 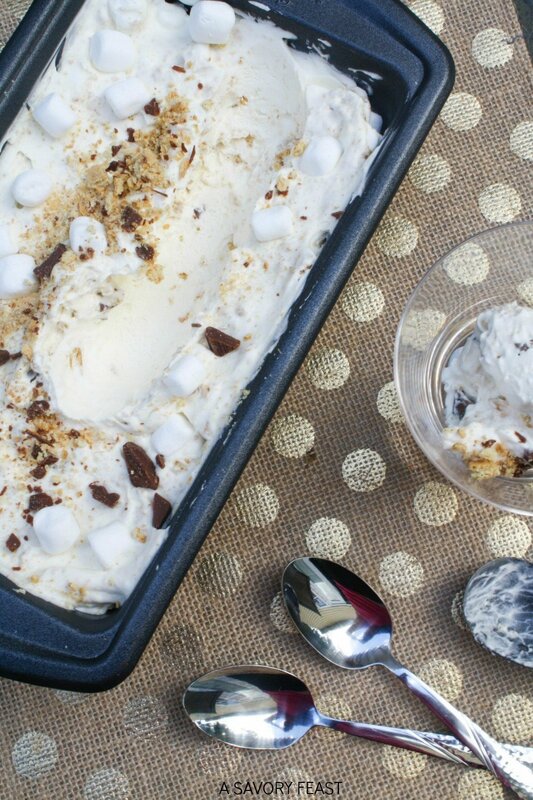 Pour the rest of the ice cream on top and mix in almost all of the Hershey's chunks, graham cracker crumbs and mini marshmallows, reserving a little bit to top the ice cream with. Top with the remaining ingredients and cover with foil. Freeze for about 6 hours or overnight. 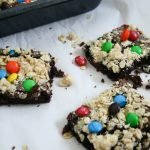 Want to try this recipe? Pin the picture below! And be sure to subscribe to A Savory Feast to get weekly recipes and ideas. Plus, you’ll get free meal planning printables as a new subscriber. Have you tried making no churn ice cream before? What is your favorite flavor? Yum!! So excited for all things smores this summer! Yes! I just saw my favorite donut place has a s’mores donut, so now that is on my list, too! Isn’t it so easy? 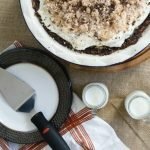 Until I started researching no churn recipes, I had no idea it was so simple. You’ve got to try it soon! It’s funny that you posted this because I’ve literally been wanting to make this for a while! You beat me to it 😉 It looks so good! 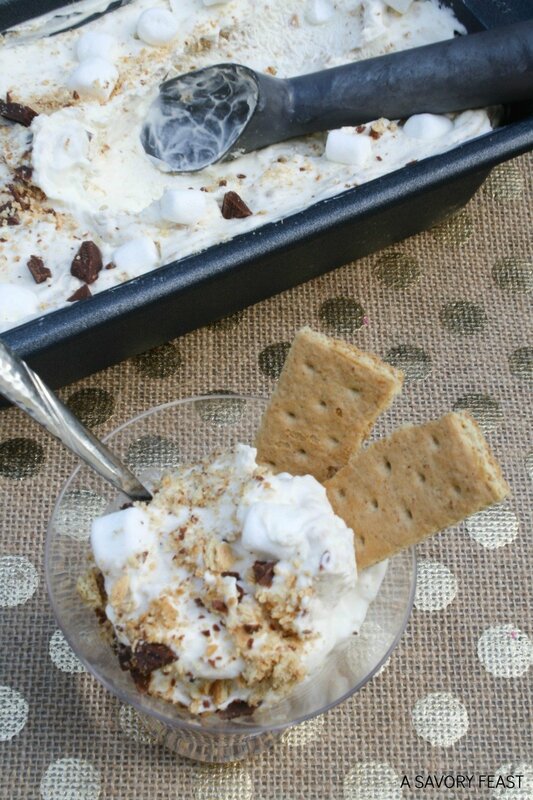 I was *just* telling Hubby we needed to make a s’mores ice cream! I can’t wait for summer weather. This version couldn’t be easier! 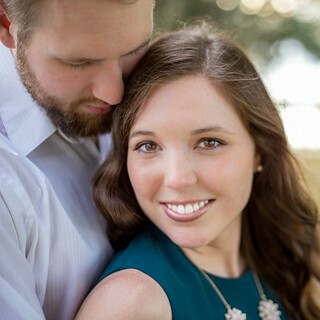 You both will love it. Great minds think alike, right? You should make it soon, it was soooo good! I LOVE anything s’mores! I’ve seen the no-churn ice cream trend going around the web, and have yet to try it (We have an ice cream maker.) This may be the first batch we make! 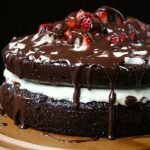 I couldn’t believe how easy the no-churn method is. And the texture of the ice cream is to die for! Oh it is SO good! You will love it. Amazing! I love that it’s s’mores. I don’t have an ice cream maker, so I love finding new no churn recipes. Thanks! No churn ice cream is so easy and delicious! I hope you enjoy this version. I love the color of my purple one! It makes me so happy.